You will receive a phone call from your Community Paramedic to schedule a home visit. During the home visit your Community Paramedic will gather information and set up the necessary equipment in your home. You will be asked to provide general Information such as: emergency contacts, health care providers, medical history, medications, etc. You will also be asked about your personal health goals. You will be provided with the necessary equipment based on your health condition. The equipment you may receive is a communication pod, weight scale, blood pressure cuff, pulse oximeter and a glucometer. Your Community Paramedic will set up these devices in your home and teach you how to use them. Step 3: Monitoring and Reports. 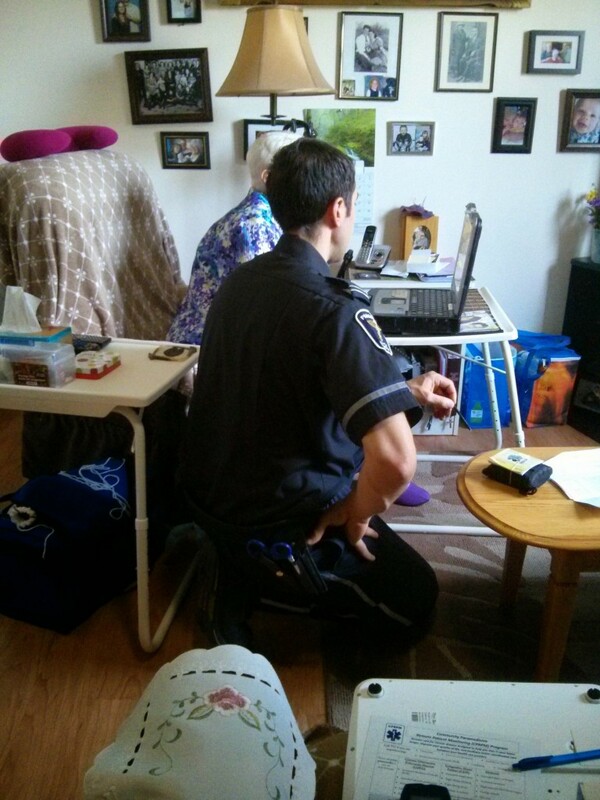 After the initial home visit, your Community Paramedics will be monitoring your daily biometric measurements. If these measurements fall outside of threshold parameters an alert will be triggered, and your Community Paramedic will be notified. You will receive a phone call from your Paramedic who will review your current health status, and together you will determine the best plan of action. While you are enrolled in the program your health care provider will receive reports of your data every other week.